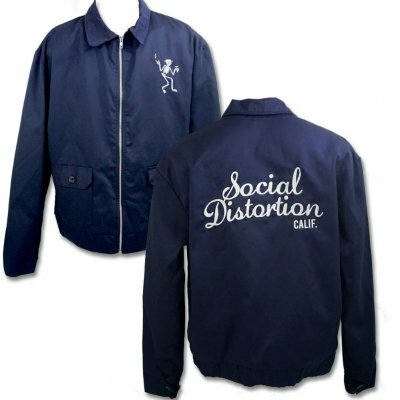 American made custom cut ‘n’ sew, satin lined, zip-up Speedway Jacket. 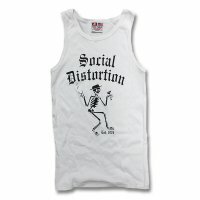 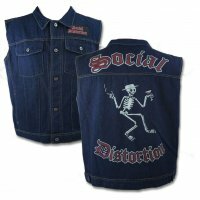 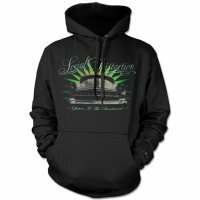 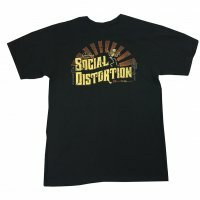 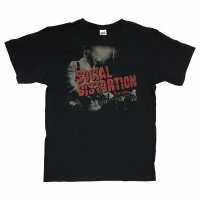 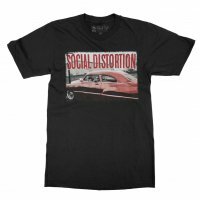 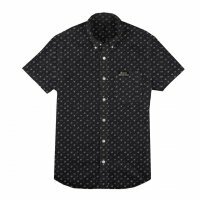 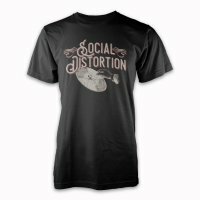 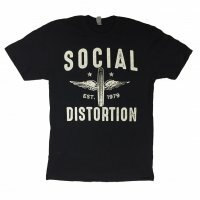 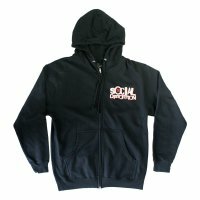 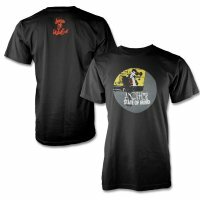 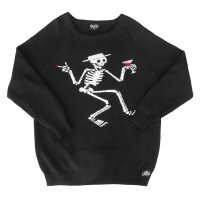 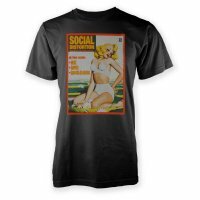 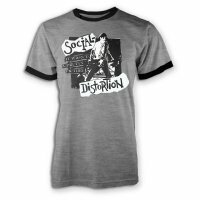 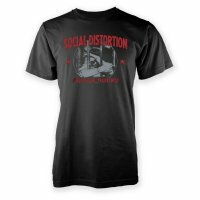 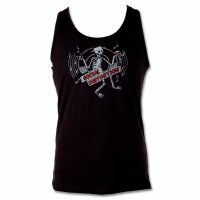 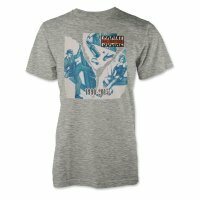 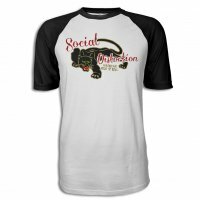 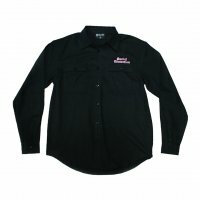 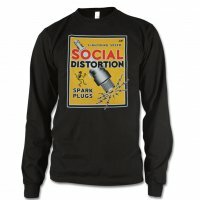 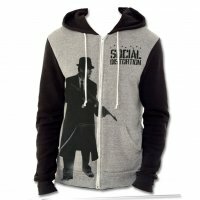 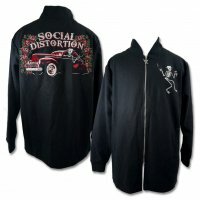 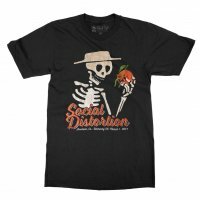 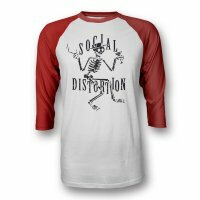 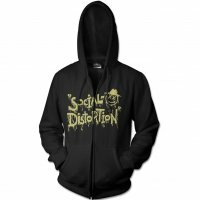 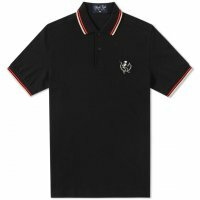 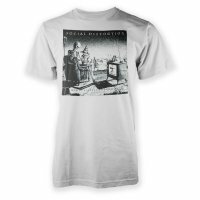 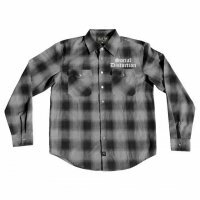 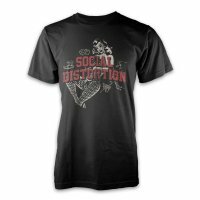 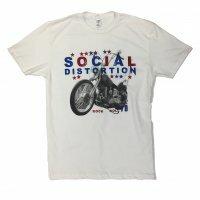 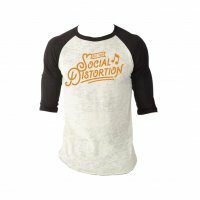 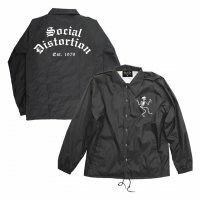 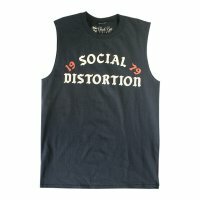 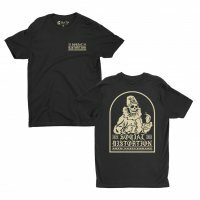 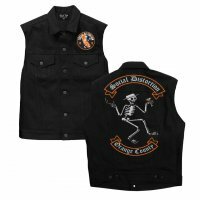 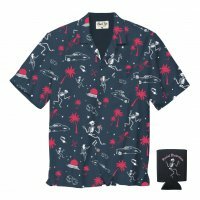 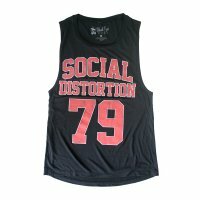 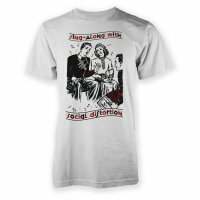 It features the “Skelly” logo embroidered on the front left pocket and “Social Distortion – Calif.” sewn on the back in a vintage style chain-stitch embroidery. 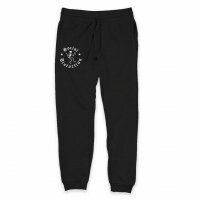 These fit very comfortably and are true to size.